When space is tight it makes sense to combine your snacks and cold drinks in one vending machine. 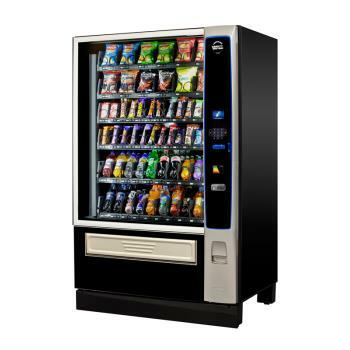 Our combination vending machines will be configured to deliver your ideal mix of cans, bottles, sweets and crisps. The Palma+ offers maximum flexibility in product display and capacity due to adjustable tray configurations. Palma + also offers 2 temperature zones and the ability to operate two spirals simultaneously to allow the dispense of larger products such as food. 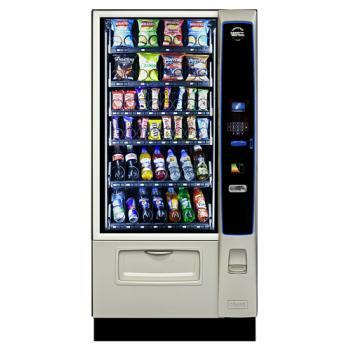 The Merchant Media 4 vending equipment is designed to attract the consumer to the machine and inspire confidence. The new customer interface area has been styled in a high gloss, durable finish with LED surround lighting, in either a Keypad or Touch version. This model is available in CarbonNeutral giving the Merchant Media a minimal carbon footprint. 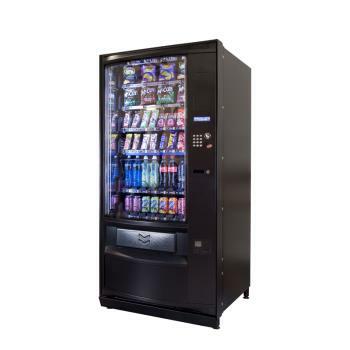 The Merchant Media 6 vending equipment is designed to attract the consumer to the machine and inspire confidence. The new customer interface area has been styled in a high gloss, durable finish with LED surround lighting, in either a Keypad or Touch version. 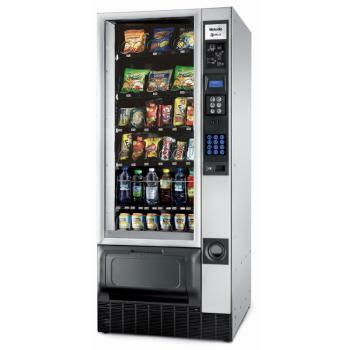 This compact machine is ideally suited to locations where space is limited but still require a good selection of drinks & snacks. 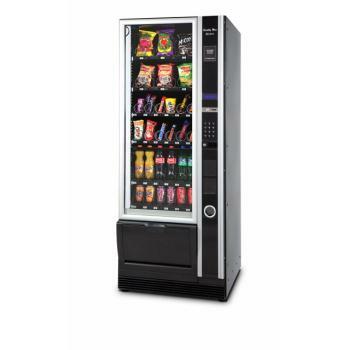 The Melodia is a reliable vending machine with a large LCD display and LED lighting for each product compartment. Snakky Max Green is designed to be banked next to most machines and offers high quality snack and drink vending solutions for a variety of medium to large environments. This affordable and stylish machine includes the ability to customise various combinations of products for an array of environments.